It is possible to believe that lottery cannot be any simpler, but 10XBTC is here to prove otherwise. One of the latest Bitcoin lottery websites has taken bare bones to another level but with innovation in mind. The saying “less is more” certainly comes into play here. Innovation is something this industry will see more of, and with new transparency technology introduced, another way of guaranteeing each draws legitimacy enters the picture together with provably fair gaming. The new Bitcoin lottery has taken provable fairness out of the picture, which they claim to be showing weaknesses. With its complexity, it may have been perceived too difficult for people to operate. This is a very surprising move, as the technology is exclusive that goes with Bitcoin gambling which aids equitable gaming. Instead of taking advantage of it, 10XBTC will be using True Random Number (TRN). Conveniently available for everyone to access, TRN is a third-party random number generator publicly provided by the Ecuadorian Civilian Space Agency, a private organization that conducts scientific space research. There is no question that their technology will not face doubt as it is backed by scientific research conducted by the organization. Easy access and checking without the need for extensive knowledge of the program is mainly the reason they prove that it has the upper hand against provable fairness. Therefore, the utilization of a third-party program like TRN will ensure that no tampering has taken place during the drawing of numbers. Hopefully this new system can co-exist with the provably fair feature. 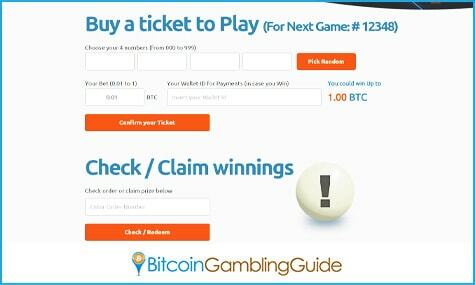 Guaranteeing a one in 10 probability of winning, this free BTC lottery will definitely have the online gamblers’ ears ringing. Bitcoin gamers should prepare to have their hands full as the 10XBTC Bitcoin lottery draws every five minutes, increasing the opportunities of hitting the prizes. Bettors get four numbers from 000 to 999 per bet. Minimum wage is at 0.0025 BTC and maximum at 0.25 BTC. Players can opt to select the numbers personally or with the application of a number generator. Moreover, if the bettor gets three digits right, the bet multiplies by 100; get the last two digits and the bet multiplies by 10, and if the last digit matches, a reimbursement of the original bet is given. Winners should not worry about having the same number as other players. 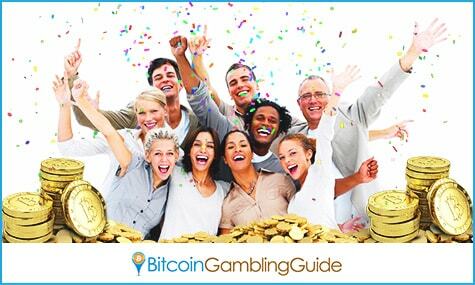 Winners will receive the same payout according to their bet, regardless of the number of winners. Order numbers are forwarded following the bets placement, which will be then asked for if winnings are to be claimed. Bitcoin gamers will experience this all to themselves; it is a Bitcoin and Bitcoin-only exclusive page. No frills, just pure excitement. The absence of information required other than wallet ID’s truly defines the essence of cryptocurrency gambling. Consequently, it is possible for lottery to become straightforward, uncomplicated, and easier. 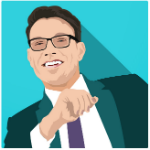 10XBTC demonstrates essentials that are only relevant for players to appreciate Bitcoin lottery, but it still adds up to overall improvement of gaming experience.